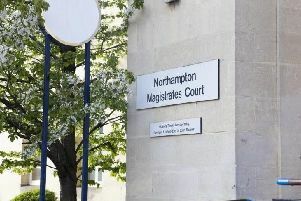 A teenager was left needing surgery on a broken jaw after being punched in the face outside a Northampton late bar yesterday morning. Police are appealing for witnesses after an 18-year-old man was assaulted in Bridge Street, Northampton, at about 4.20am on Sunday (June 28). The victim was standing outside the NB’s bar when he became involved in an altercation with a group of men, though it is not known exactly how many. During the incident the 18-year-old victim was punched in the stomach and face resulting in a broken jaw, requiring surgery. The offenders are described as white men in their twenties. Witnesses, or anyone with information, are being asked to call Northamptonshire Police on 101, or Crimestoppers on 0800 555 111.